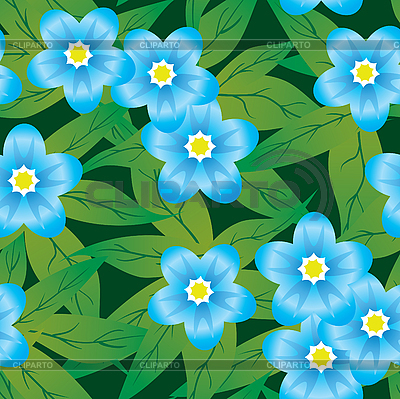 Abstract forget-me-nots flowers background. Seamless. Blue - green palette. Vector illustration.